William Allen White (February 10, 1868 – January 29, 1944) was the editor of the Emporia Gazette in Emporia, Kansas from 1895 until his death, as well as a best-selling author. He gained fame in 1896 for his attacks on the far-left Populists. After 1901 he was a leading supporter of Theodore Roosevelt. White remained devoted to the conservative virtues he lovingly described in small town America. He was America's most famous small-town editor and a nationally respected spokesman for the Progressive movement. White was born and lived nearly his entire life in Emporia, Kansas. While attending the University of Kansas (1886-1890) he worked for the Lawrence Journal. In 1890 he joined the El Dorado Republican, in 1891 went to the Kansas City Journal, and between 1892 and 1895 worked for the Kansas City Star. In 1895 White became owner and editor of the Emporia Gazette. With his warm sense of humor, a facile editorial pen, and a commonsense approach to life, he soon became known throughout the country. His Gazette editorials were widely reprinted; he wrote syndicated stories on politics; and he published many books, including biographies of Woodrow Wilson and Calvin Coolidge. In 1896, White married Sallie Lindsay. In 1896 White attracted national attention with a scathing attack on William Jennings Bryan, the Democrats, and the Populists entitled "What's the Matter With Kansas?" It was a satirical attack that blamed the crackpot Populist leadership for the state's declining population and prestige,. Between 1901 and 1909, White was a confidant of President Theodore Roosevelt, popularized the aims of progressive Republicans in McClure's magazine, and managed political campaigns in Kansas. Then in 1912 he bolted the Republicans to help Roosevelt found the Progressive Party. White was a reporter at the Versailles Conference in 1919 and a strong supporter of Woodrow Wilson's proposal for the League of Nations. The League went into operation but the U.S. never joined. In the early months of 1919, Woodrow Wilson, at the suggestion of Colonel House, proposed a meeting with the Bolsheviks at Prinkipo Island off the coast of Turkey. As emissaries of the United States, Wilson chose the radical George D. Herron and William Allen White. The Prinkipo meeting was ultimately a failure, as was the follow-up to it, the Bullitt Mission. During the 1920s, he was critical of both the isolationism and the conservatism of the Republican Party. 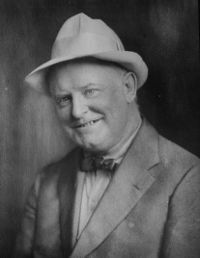 In 1924, White ran for governor of Kansas as an independent on an anti-Ku Klux Klan platform, and came in third. The 1896 editorial and "Mary White"—a beautiful tribute to his 17-year-old daughter on her death in 1921, portrayed her as an anti-flapper—were his best-known writings. Locally he was known as the greatest booster for Emporia. In his novels and short stories, White developed his idea of the small town as a metaphor for understanding social change and for preaching the necessity of community. While he expressed his views in terms of the small town, he tailored his rhetoric to the needs and values of emerging urban America. The cynicism of the post-World War I world stilled his imaginary literature, but for the remainder of his life he continued to propagate his vision of small-town community. He opposed chain stores and mail order firms as a threat to the business owner on Main Street. The Great Depression shook his faith in a cooperative, selfless, middle-class America. Like most old Progressives his attitude toward the New Deal was ambivalent: President Franklin D. Roosevelt cared for the country and was personally attractive, but White considered his solutions haphazard. White seemed to see the country uniting behind old ideals by 1940 in the face of foreign threats. White sought to encourage a viable moral order that would provide the nation with a sense of community. White recognized the powerful forces of corruption but called for slow, remedial change having its origin in the middle class. In the 'Heart of a Fool' (1918), White fully developed the idea that reform remained the soundest ally of property rights. He felt that the Spanish–American War fostered political unity, and believed that a moral victory and an advance in civilization would be compensation for the devastation of World War I. White concluded that democracy in the New Era inevitably lacked direction, and the New Deal found him a baffled spectator. Nevertheless, he clung to his vision of a cooperative society until his death in 1944. ↑ Richard W. Resh, "A Vision in Emporia: William Allen White's Search for Community," Mid-continent American Studies Journal 1969 10(2): 19-35. Agran, Edward Gale. "Too Good a Town": William Allen White, Community, and the Emerging Rhetoric of Middle America. (1980) 240 pp. This page was last modified on 26 September 2018, at 16:29.